Jack Weiss of the Evanston Preservation Commission approaches the Evanston City Council to voice concerns about the appearance of Northwestern’s planned visitors center. He was one of many residents who spoke critically of NU during Monday’s meeting. Evanston aldermen agreed Monday to designate city land for the fire line for Northwestern’s proposed visitors center. The ordinance was amended from its original form — a leasing contract between the city and the University — to a flat rate to be paid up front to cover construction expenses. The Evanston City Council passed the ordinance 6-1 with Ald. Judy Fiske (1st) opposed. Ald. Coleen Burrus (9th) recused herself as a University employee, and Ald. Melissa Wynne (3rd) was unable to attend Monday’s meeting because of health issues. The ordinance passed despite public comment that was overwhelmingly critical of the visitors center project. Several residents cited environmental concerns and zoning issues. “It’s time to stop drinking the purple Kool-Aid and start serving Evanston,” Mirapaul said. Jack Weiss, a member of the city’s preservation commission, approached the council twice to voice his opposition. The commission previously denied NU a certificate of appropriateness to build the new center. “We said it three times at our meetings in August, September and October — no,” Weiss said, denying that the project deserved a certificate of appropriateness. Although the council overturned the commission’s decision Oct. 22, Weiss said he believed the fire lane controversy could be solved with his previous request to move the project farther north. 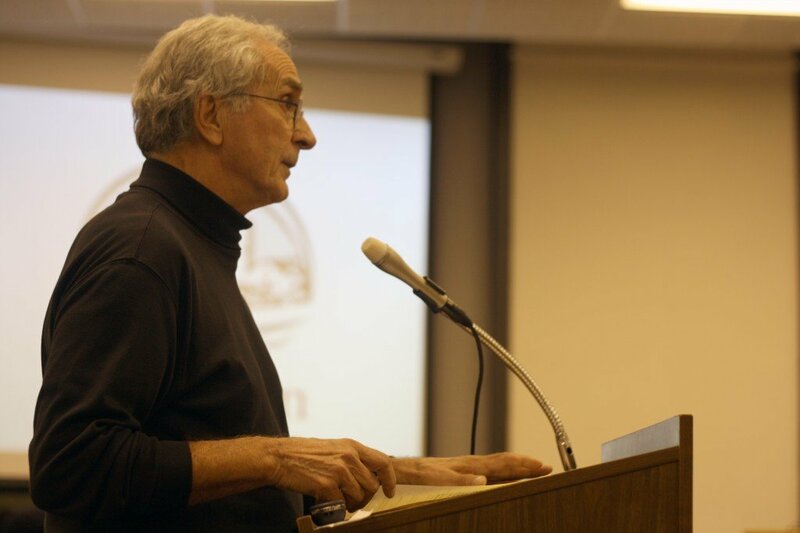 Weiss maintained that although the building fits within the visual context of the University, he does not agree with the design in relation to the greater Evanston community. After public comment, Ald. Jane Grover (7th) amended the proposal to suggest that the city not formally lease the property. Instead, NU will be required to pay for construction of the fire lane, which will also serve as a bike lane connecting Evanston’s paths to those of the university. The city will then be responsible for maintenance, as the land would still belong to Evanston. Grover said the city and the University should work together on a collaborative solution to disturb as few trees as possible in the construction of the lane. The total cost to the University for construction would amount to $250,000. Fiske disagreed with Grover’s amendment and the entire ordinance. Fiske said her concerns about the effect on the ecosystem were not resolved. Such a large building might not be “what the community wants to see on the edge of campus,” she said. Fiske’s other concern was the $250,000 payment to the city. She said the University, with its substantial endowment, should pay more. However, Ald. Don Wilson (4th) defended NU’s plans. Wilson said he visited the proposed site of the visitors center Monday morning to try to visualize the final product. He said he rejected the notion brought up by many opponents that the University is unfriendly to the environment. The University has made a “vast and dramatic improvement” in the environment on the lake shore, Wilson said.